There have been positive changes to Australian water management in past decades, but new challenges have emerged that require a refreshed national water reform agenda. This was one of the main themes of the 2018 Peter Cullen Lecture, presented by the inaugural CEO and Chair of the National Water Commission (NWC) Ken Matthews AO earlier this month. Hosted by the Peter Cullen Trust, the University of Canberra and Griffith University, the lecture celebrates the legacy of Professor Peter Cullen AO, one of Australia’s most well-known scientists in the field of water and natural resource management. In his lecture, Matthews said there had been some big-picture reforms achieved in the past 20 years, including environmental sustainability being accepted as a legitimate goal of water management. Other achievements include: Australia’s use of water markets; increased irrigation efficiency due to water pricing; bringing the Murray-Darling Basin back from the brink; enhanced security of water entitlements and supplies for irrigators, towns and cities; an increase in environmental water holdings; and more efficient environmental water use. However, Matthews noted that “the reform journey never ends”, and said there are new problems the Australian water sector should turn its attention to. Matthews pointed to a “shopping list of known obvious opportunities” in the water reform space. The processes for recognising Indigenous Australians’ interests in water are currently “haphazard and ineffective”, and input into decision making is low impact. “There is a great reform opportunity to set all this right,” Matthews said. Australia could also be preparing for the future by championing recycled water for potable use and investing in groundwater science to better manage this resource. Urban water reform could also be revisited, as it was only given a “light touch” in the reforms of the ‘90s and 2000s. This could include looking at pricing, third-party access, government involvement, city planning and regulation. Before his role with the NWC, Matthews had a long career in the public service, working as the Secretary of the Department of Primary Industries and Energy, Secretary of the Department of Agriculture, Fisheries and Forestry, and Secretary of the Department of Transport and Regional Services. He said the main problem with contemporary water management is the quality of government involvement. As federal and state governments play such a big role in the sector, ministers need to be interested and informed. “… Our current water decision-making processes have been designed with an assumption that good science and careful analysis will make its way up through the system, and that responsible ministerial decision makers will be at the helm to receive it. But it turns out that too often they are not,” Matthews said. This is particularly apparent when it comes to climate change. 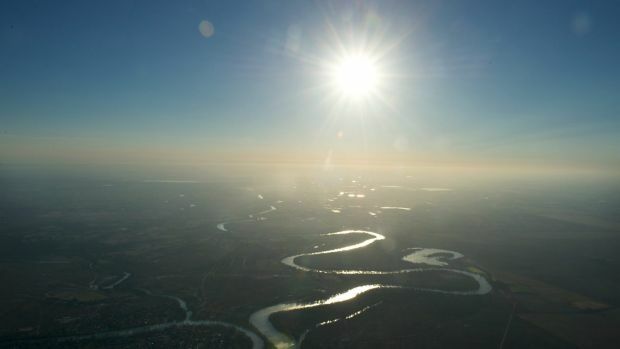 Matthews said much of the Australian water reform community was engaged in “intellectual self-censorship” about the potential impacts of climate change. Although this year’s drought shone a light on climate change and created an opportunity for intellectual leadership, Matthews said few politicians were prepared to talk about the issue. “We, the water reform community-of-interest, have self-censored because the political environment was inhospitable and our ministerial leaders weren’t leading,” Matthews said. Restricting ministerial discretion could help provide more rational, reasonable and science-informed outcomes for Australian water management, Matthews said. This could include incentivising responsible decision making. For example, ensuring the professional advice provided to ministers is published before the minister makes a decision, which would allow interested stakeholders to assess the quality of the minister’s decision against the advice he or she received. Australia also needs better arrangements to manage water issues nationally, rather than state by state. “… It is a concern that there is no longer a contemporary national water reform agenda like the 2004 National Water Initiative Intergovernmental Agreement to provide a blueprint for jurisdictions in their water policy development,” Matthews said. He said stakeholder consultation also needs to be rethought, with a focus on smaller groups and special interests. “Until we do, alienation, frustration and misapprehensions based on exclusion from the processes and ignorance of the facts will continue to dog water management decisions,” Matthews said. In order to address the “shopping list of opportunities”, Matthews said Australia needs a renewed water reform agenda. He said this could include an independent panel that would identify and recommend water reforms for each state and territory. The panel could develop a refreshed national water reform strategy, “avoiding the stop/start, uneven and partial efforts that have characterised reform attempts over the last decade”. “Impressive though they are, Australia’s water reforms are far from done,” Matthews said. Read the full text of Ken Matthew’s speech here. Originally published by the Australian Water Association, 30 November 2018.